The majority of touchpads in laptops today are made by a company called Synaptics. You may not have heard of them, but there is a good chance that they have made a touch pad for you if you have bought a laptop in the past 10 to 15 years. The other major manufacturer is Alps. You can often find your touchpad manufacturer by looking in your mouse settings found on the Windows Control Panel. 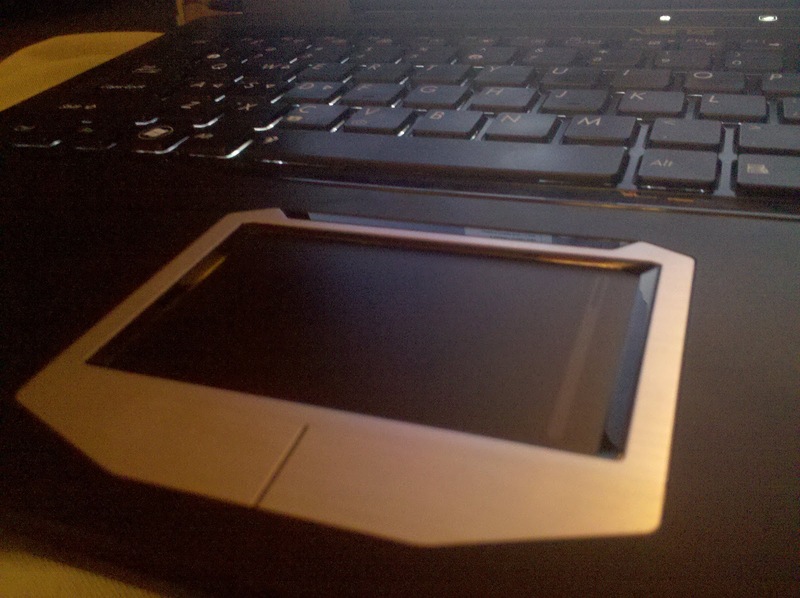 If you have a Dell laptop, they use their own software, but the Touchpad itself could be either Synaptics or Alps. My tip today is for those that have Synaptics touchpads, if you have an Alps touchpad, it may work, but I would not recommend trying unless you are pretty comfortable with replacing device drivers. With the introductions aside, my new found fun is in a program called Scrybe. Found at http://www.uscrybe.com/ . Scrybe replaces your standard touchpad software with a full featured program , made by Synaptics, that lets you customize different "gestures". These gestures consist of taps and drawings on your touchpad that do different things. For example, if I tap on my touchpad with three fingers, and then trace the letter 'f' the software opens up my browser and goes to facebook. It sounds like it is complex, but in practice, I find myself wondering how I have used a computer without this. After setting up my own set of "gestures", I can launch just about any program or website I want, without ever clicking or typing anything. The standard gestures also let you select all, cut , copy and paste with a few swipes of your finger. One of the most useful gestures is the ability to close any program by drawing an X without lifting your finger. In addition to the gestures, the new software allows for more customization and even some multi touch features for your existing touchpad. One of my favrites is called ChiralScroll. With ChiralScroll, you can start scrolling on the edge of the touchpad like normal, but then you can move your finger around the touchpad in a circle to keep scrolling. This allows you to scroll up and down a long page without ever lifting your finger. Again, how have I used a laptop so long without this. To the right is an image of how it works. Like I said before, the program is free and made by Synaptics, so it is mainly intended for Synaptics touchpads. However, I have heard of people using Synaptics drivers with Alps touchpads, so try it at your own risk if you are comfortable with that sort of thing. If your laptop has a Synaptics touchpad, do not hesitate to go to http://www.uscrybe.com/ and download Scrybe now. There are many videos and articles if you want to look into it a bit more, but trust me, this one is a must try.